You don’t stay here … you live here®. Enjoy temporary housing that feels like home. 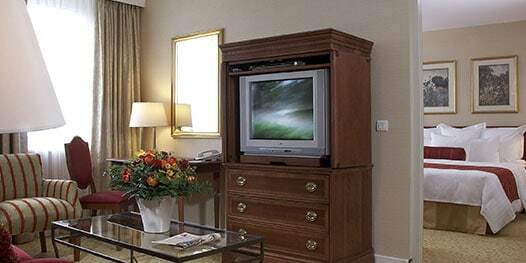 Discover luxury apartments with premiere hotel services for long stays and all the comforts of home. At Marriott Executive Apartments®, you’ll feel welcome in London, Dubai, Beijing, Bangkok and other urban centres in 16 countries. Whether you’re working internationally, relocating or traveling with your family, our serviced apartments will delight you with space to spread out and plush amenities with upscale décor. Separate sleeping, living and working areas. Gourmet kitchens. Spacious floor plans. Fitness and business centers. Housekeeping. Dedicated staff and security 24 hours a day. 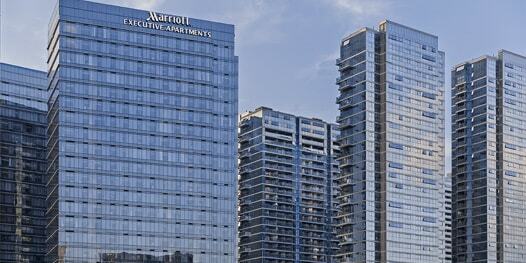 All from a name you trust: Marriott. You’ll find the friendly and knowledgeable staff at our executive apartments enjoy connecting you with classic and contemporary culture in gateway cities across Europe, Asia, Latin America and the Middle East. 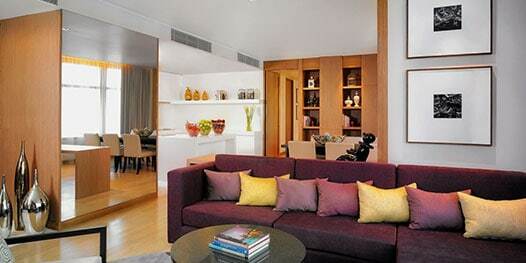 Settle into the city with your choice of serviced apartments from studio to 3-bedroom suites. Meet other international travelers in our relaxing social areas and discover dining, shopping and entertainment nearby. Experience upscale temporary housing in 16 countries and earn Marriott Rewards points to enjoy worldwide. Want anything, anytime? Let’s chat. 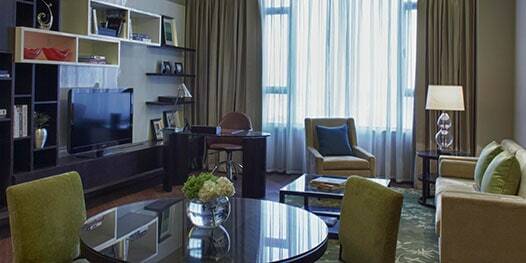 The exclusive Imperial Mansion, Beijing - Marriott Executive Apartments reflects an exceptional level of luxury whether you are traveling for business, pleasure or rejuvenation. You can choose among 220 fully furnished suites from elegant studio, one, two & three bedrooms and enjoy our exclusive rooftop ozone depletion swimming pool. It is strategically located in the center of Wangfujing district conveniently close to business, commercial, entertainment, and shopping areas. 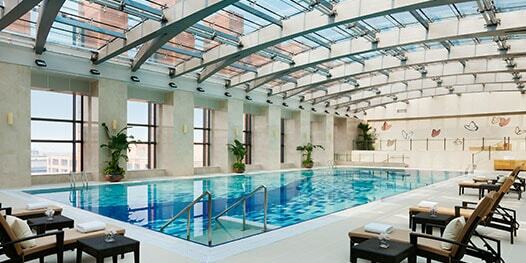 The China Red Sandalwood Museum, the Beijing Subway and a golf range are all within steps of this luxury residence. One to 3-bedroom units are available, making the building ideal for executives and their families traveling for business or pleasure. 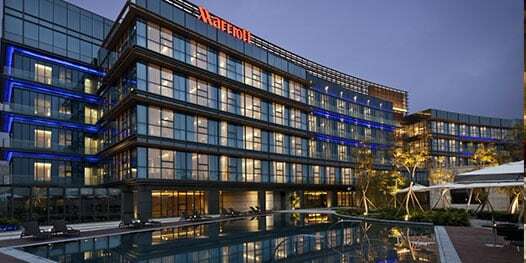 Strategically situated at the Future Sci-Tech City, an innovation and venture complex as well as home to Alibaba’s headquarter, Marriott Executive Apartments Hangzhou boasts 142 fully-serviced apartments ranging from studios to three-bedroom suites within a premium residential setting. 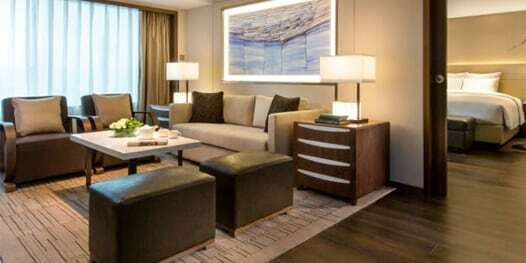 The OCT Harbour, Shenzhen Marriott Executive Apartments offers studio, one-, two- and three-bedroom apartments with separate living, dining, sleeping and work areas. 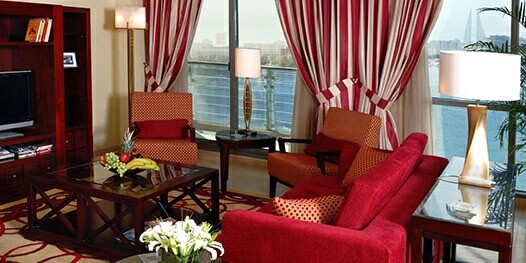 Both business and leisure guests will experience luxury décor, full gourmet kitchens and attentive personalized service. The OCT Harbour is conveniently located near Futian District - the CBD of Shenzhen, Qushui Bay Commercial Center, Happy Mall and Wetland Park. 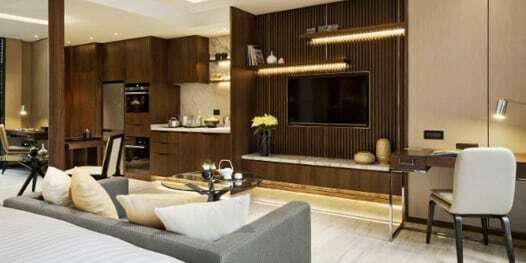 With a central location near Financial Street, the TEDA, Tianjin-Marriott Executive Apartments combine the amenities of a luxury hotel with the privacy of a residence in the affluent Tianjin Economic-Technological Development Area of Tianjin Binhai New Area. The location is absolutely ideal. It's in the heart of the Hexi financial center, and is also near downtown, Tianjin railway station, entertainment, nightlife, a shopping mall, and an international school. The Fairway Place, Xi'an - Marriott Executive Apartments is located at the center of a Hi-tech development zone, 40 minutes from the Xi’an Xian Yang International Airport. Ranging from studios to three-bedroom layouts, this property is near major corporations including Oracle and Fujitsu. 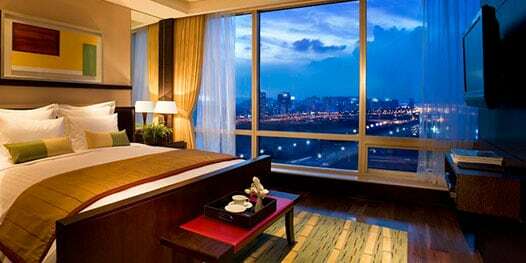 The International Trade City, Yiwu – Marriott Executive Apartments features the latest innovations in design and décor. Each of the 198 fully-serviced apartments is equipped with a kitchen and features an elegantly modern style complemented by stunning views over the CBD or Yiwu International Sculpture Park. 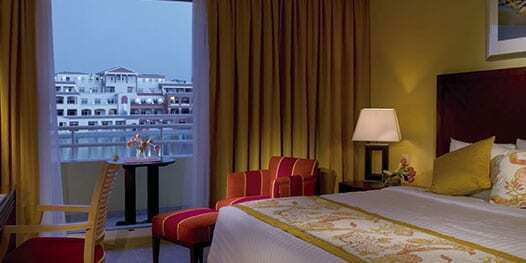 Marriott Executive Apartments Hyderabad is strategically located within close proximity to Hi-tech City and the financial district making it ideal for extended stays. The property offers 75 studios, one-bedroom and two-bedroom apartments with fabulous city views, overlooking the botanical gardens. Set on 15 acres and overlooking tranquil Powai Lake, this urban oasis is minutes from Mumbai's business center. It offers the space of an apartment, plus the services of a 5-star hotel, gourmet restaurants, a spa, and a gymnasium with yoga classes. Set in the central business district and close to diplomatic embassies, this residence has 96 luxury apartments. Choose from 1-, 2- or 3-bedroom accommodations that include signature bedding, full kitchens, and separate living and working areas. These apartments offer fine furnishings, heated wooden floors and rainfall showers. Additional on-site amenities include a spa and fitness center, and the local area is surrounded by delicate cherry blossoms and scenic running trails. One-, 2- or 3-bedroom apartments are available. Each features elegant, Asian-inspired décor with full kitchens, plus LCD TVs and DVD players. 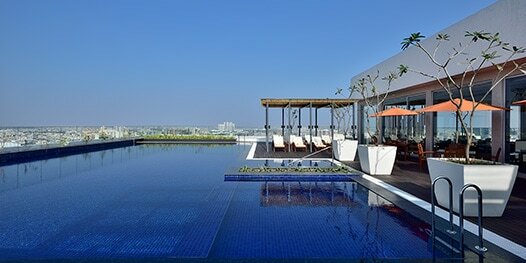 Fitness facilities include a rooftop swimming pool and a 24-hour health club. Everything you need to enjoy a stay of any length is at your fingertips in these luxury apartments. Units are elegantly furnished and include complete privacy, full kitchens, housekeeping and extra storage. 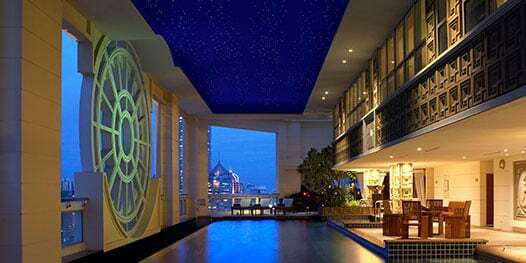 Marriott Executive Apartments Bangkok Sukhumvit Park is centrally located near major offices, shopping and Bangkok's most famous landmarks. 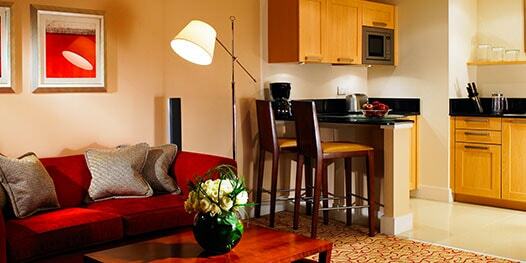 Our large, serviced apartments feature fully equipped kitchens and large bathrooms with great views of the city. Guests will enjoy facilities which are quite similar to a full service 5 star property, including: a 200-square-foot fitness center, swimming pool, tennis, squash, badminton, golf practicing area and a spa. Our free tuk tuk service provides easy access to Bangkok's best shopping and the Skytrain making it easy to get around. 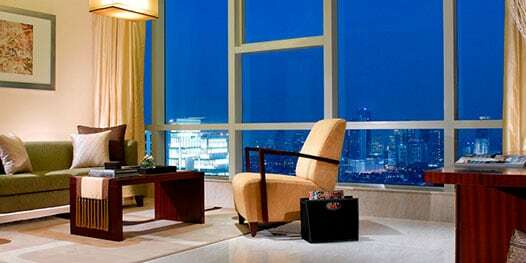 The Marriott Executive Apartments Bangkok, Sukhumvit Thonglor offers one-, two- and three-bedroom apartments with separate living, dining, sleeping and work areas. 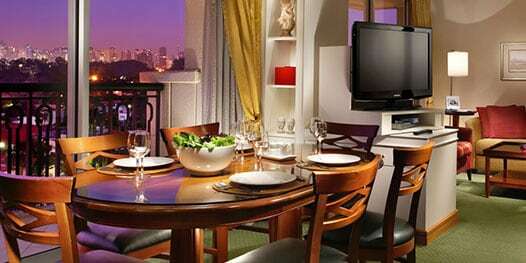 Both business and leisure guests will enjoy luxury décor and full gourmet kitchens. 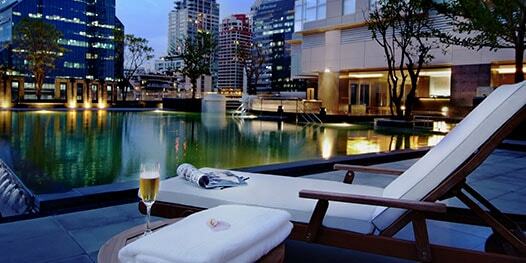 Marriott Executive Apartments Bangkok, Sukhumvit Thonglor is conveniently located in the upscale residential neighborhood of Thonglor and is easily accessible from the BTS Skytrain, all major roads and highways. These elegant apartments in the center of the commercial district and steps from vibrant Place Luxembourg. Enjoy separate living and sleeping quarters, full kitchens, 24-hour room service, housekeeping, and other well-deserved luxuries. With World Heritage sites such as the Danube River and the Buda Castle, Budapest is one of Europe's most beautiful cites. Enjoy it from the elegance of the Millenium Court. 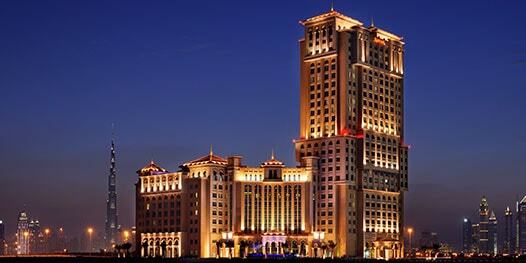 It's located in the city center and adjacent to upscale shops and restaurants. Here you can enjoy the intimacy of your own private residence plus the services you would expect from a fine hotel. Features include full kitchens, housekeeping, grocery delivery, plus an on-site sauna and gourmet restaurants. With studio to 2-bedroom apartments, a private lounge, a 24-hour fitness center and personal shopping services, this apartment perfectly matches the vibrancy of its Canary Wharf location. Enjoy it on your next trip to London. Offering easy access to the city's financial and diplomatic hubs and the international airport, this apartment is ideal for business trips. 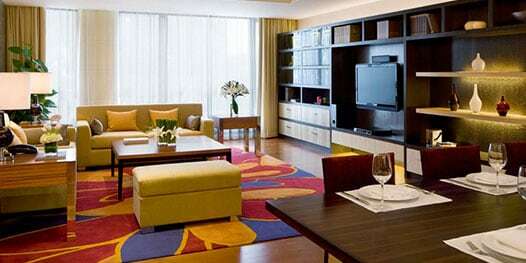 Housekeeping, 24-hour security and room service are among the many included luxuries. 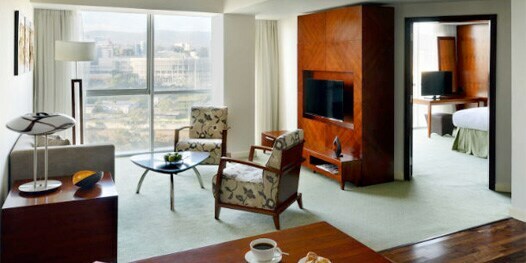 Marriott Executive Apartments Addis Ababa is a few steps from UN-ECA Headquarters and a 10-minute drive to African Union Headquarters. This luxury 5 star hotel offers beautifully appointed 1 and 2 bedroom apartments offering great living space for business as well as vacation travelers. 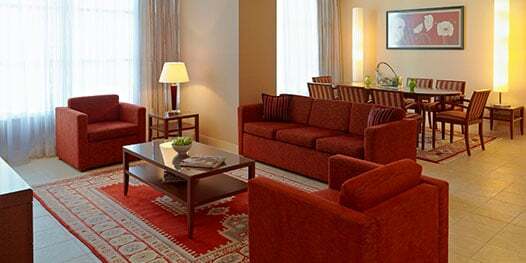 The exclusive Marriott Executive Apartments, Riyadh Makarim is designed for extended-stay business travelers and long family holidays, offering 117 beautifully appointed 1-,2-, and 3-bedroom apartments overlooking the Riyadh skyline. 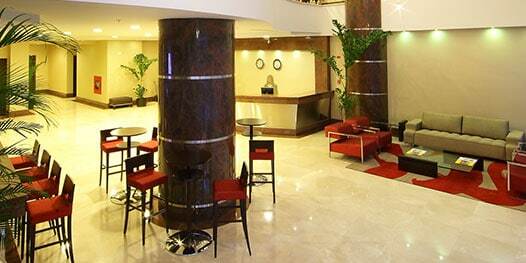 It is strategically located in Al-Ma'ather Street adjacent to the Riyadh Marriott Hotel, near King Fahd Medical City. 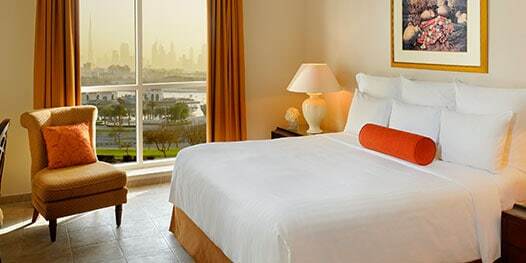 Just a 10-minute drive from Abu Dhabi National Exhibition Centre (ADNEC), Marriott Executive Apartments Downtown Abu Dhabi is centrally located in the heart of Abu Dhabi’s diplomatic and government area. With easy access to the Corniche and main Abu Dhabi business districts, the apartments are ideally located for long-stay residents, providing the luxuries of a hotel with the amenities of apartment living. 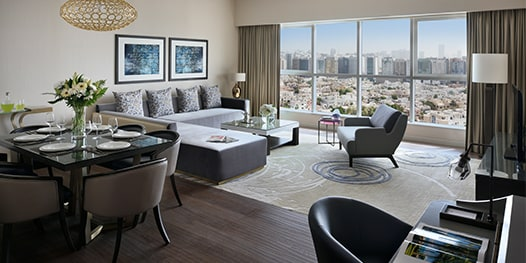 Providing all the comforts of home and the luxury of a 5-star property, experience and enjoy luxurious apartment-style living blended with premier hotel services at the Marriott Executive Apartments Dubai Al Jaddaf. With 128 elegantly appointed one, two and three bedroom apartments, guests arrive to a fully-equipped kitchen, housekeeping services, an outdoor swimming pool and a dedicated parking space. 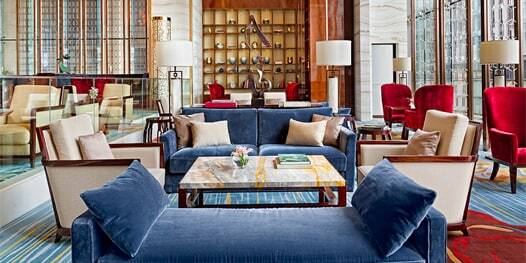 Residents can enjoy access to the adjoining Dubai Marriott Hotel Al Jaddaf's seven restaurants, lounges and bars, traditional Middle Eastern treatments at Saray Spa and health club facilities. 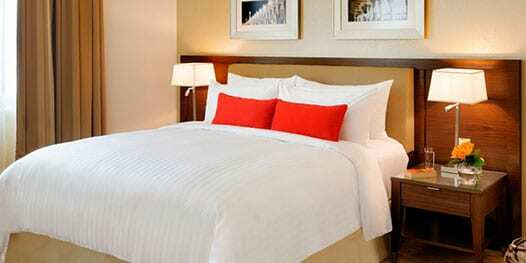 Five-star accommodations greet you at this downtown jewel. Housekeeping, room service, 24-hour security, and elegant furnishings are some of the features that make this one of the best places for extended travel to the UAE. Surrounded by 67 hectares of manicured parkland, this apartment is a virtual oasis. There are 1-and 2-bedroom residences with fully-equipped kitchens, separate sleeping and living quarters and lake-front views. Tucked into a quiet residential neighborhood, this apartment shares a location with upscale shops and fine restaurants. 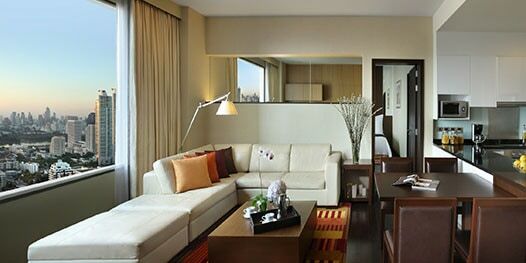 Select from elegant 1-, 2- or 3-bedroom residences that feature all the comforts of home and all the service you expect. The Marriott Executive Apartments Panama City, Finisterre is conveniently located in the city's financial district and near The Panama Canal. Offering studio, one or two-bedroom apartments with separate living, sleeping, dining, and work areas, both business and leisure travelers will enjoy the comforts of a full kitchen and the convenience of complimentary high-speed Internet. Get everything you need and want during your stay: elegant furnishings; luxurious bedding; separate sleeping, living, and working quarters; DVD and CD players; and more. When you can't go out, stay in and enjoy your favorite meals in your own gourmet kitchen. It includes all utensils and appliances. Upon request, we'll even fill the refrigerator with your favorite foods before you arrive. Residences are available in a range of sizes and floor plans. Select from studios to 3-bedroom apartments with all the amenities of home. Apartments feature secure entrances, private parking areas, and around-the-clock security staff. Concierges can recommend restaurants, nearby shopping, and historical attractions. They can even arrange city tours to help you get acquainted with your new surroundings. To help you make the most of your stay and your time, many apartments offer grocery and laundry service delivered directly to your apartment door. Private fitness centers, saunas and even indoor pools are available at most locations. Each apartment offers high-speed Internet and fax service, and on-site business centers include the latest technology and spaces to meet with colleagues. Daily or weekly housekeeping service means all you have to do is get up and go. There are no dishes to clean or beds to make. That's our job.